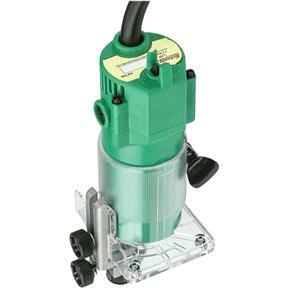 This Trim Router features a 1/2 HP motor, 350 W, 1.7A, and no-load speed of 30,000 RPM and carbon brushes for long life. 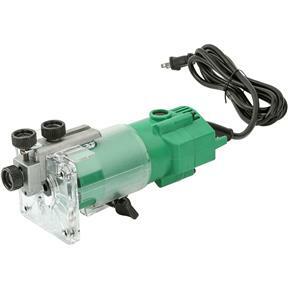 Hi-impact plastic body ensures low noise and vibration. 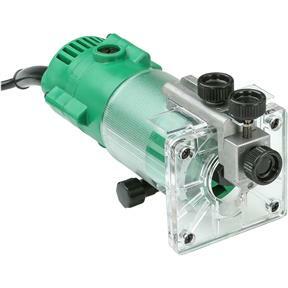 Features 1/4" collet and rack and pinion base adjustment. Includes micro adjustable guide bearing, fence, 3/8" guide bushing and collet wrenches. Weighs 4.02 lbs. Great rock solid little power tools! These are as good as the ones I paid $150 for. This is a great router. I have to be honest I didn't have really high expectations for this router. But I should have. It is a great tool. I have used it several times already in my shop and it is proving itself a good addition to my collection of power tools. I bought this router over a month ago and am extremely happy with it. For the price my expectations where low, but it had more features than my name brand model. Bought it, Needed it, Will use it agin.